With upwards of 40 million subscribers, Amazon Prime has certainly grown in popularity since it launched more than 10 years ago. If you have yet to sign up, you might be skeptical of the $99 annual cost. Many shoppers understandably wonder whether the service pays for itself over the year. The short answer for most folks is a definitive yes (especially for those of us who frequent Slickdeals’ Amazon page a lot). Prime members enjoy tons of perks, including free two-day shipping and unlimited streaming through Prime’s Instant Video. On top of that, there are lots of other ways to save. Whether you’re considering signing up or want to find other ways to save as a Prime member, here are some tips on how to save. If you aren’t sure whether Amazon Prime is right for you, start by signing up for the company’s free Prime trial. This 30-day trial gives you access to the most popular Prime features, such as free two-day shipping, Prime Music, Prime Instant Video, and an opportunity to check out the Kindle Owners’ Lending Library. Can’t find a reason to stick around at the end of the trial? Be sure to cancel your Amazon Prime membership renewal to avoid a hefty charge on your credit card. Students with an .edu address or proof of student status can sign up for Amazon Student, which includes a six month free Amazon Prime trial. Students can access free two-day shipping, exclusive deals and the ability to store photos with Prime Photos. At the end of the trial, Amazon Student members may choose to purchase an Amazon Prime membership at a 50 percent discount, at which point they will also gain access to unlimited TV show and movie streaming, as well as Prime Music. Students can also receive a $5 credit by referring a friend to Amazon Student. Amazon Mom also offers a 30-day free trial period. What’s included in the package? It’s basically a regular Prime membership plus special offers on baby items, including 20 percent off diaper subscriptions and 15 percent off any items on your Baby Registry that were not purchased. However, those who have previously tried Amazon Prime might not be eligible for the free 30-day trial. You can cancel the trial anytime. Free shipping — Prime members enjoy free two-day shipping on eligible items without a minimum order balance. However, if you pay $35 or more on certain eligible orders, you can potentially get free same-day delivery in select metro areas. Amazon currently offers more than 20 million eligible items for free two-day Prime shipping. Amazon Prime Now, a handy app available for download through Google Play, Amazon and Apple’s app store, promises one- to two-hour deliveries for certain zip codes. Additionally, Amazon currently offers perks like free two-hour grocery delivery from select stores in Manhattan. To save on your first order in certain metro areas (up to $20 off your first order of $50 or more) use the TRYITNOW promo code. Prime Video — Once you sign up for Prime, you’ll have access to thousands of movies and TV episodes at no extra cost. It’s even possible to download and view some titles offline. 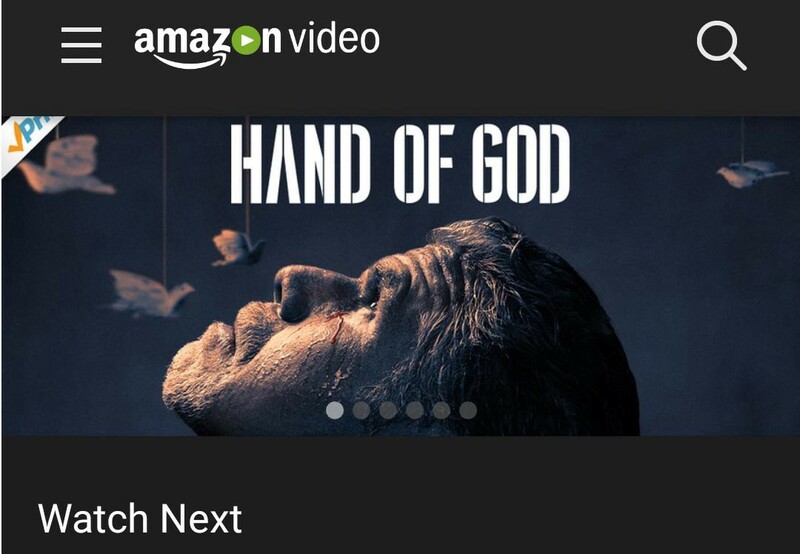 Although Prime Video first launched in 2011, the service has been making waves (and gaining new customers) in recent months by offering a wider selection of exclusive shows. Prime Music — At first glance, free music streaming through Prime Music might not seem like anything extraordinary, but there are some benefits here. The music library itself is a bit small, and doesn’t always have the latest releases, but there are over a million songs to choose from, as well as personalized ad-free stations. Users can also choose to download songs and listen to them offline. Prime Photos — Need more space for photo storage? You can use Prime Photos to store an unlimited number of photos for free. As a Prime member, your annual fee includes all the storage space you could want in Amazon Cloud Drive. Kindle Owners’ Lending Library — As long as you have a Kindle device, you can borrow one Kindle book each month for free. There are over 800,000 titles to choose from and you won’t owe any late fees because there aren’t any due dates. Keep in mind that only the paying account owner can borrow a book each month. Now that we’ve covered the basics, it’s time to move on to the good stuff. Subscribe & Save — This is probably already obvious to most Slickdealers, but it’s certainly worth mentioning. The Subscribe & Save program offers thousands of household items, such as laundry supplies, cleaning products and more. Find the items you regularly buy, then set your desired delivery date and quantity. Be sure to click “Subscribe Now,” rather than the option for a one-time purchase. Not only can you save up to 15 percent on your order, you can also cancel this service at any time. Each subscription includes free shipping and delivery to your doorstep. At Slickdeals, we usually see some additional discounts applied to S&S offers that many members take advantage of and then cancel after the order has processed, so definitely keep an eye out for promo codes. That should show you all hear rate monitors currently on sale for 50% off or more! Leftover Card Balances — Put those last few leftover prepaid debit and/or credit card balances to good use by purchasing an Amazon gift card for that same amount. All you need to do is email yourself the Amazon card. 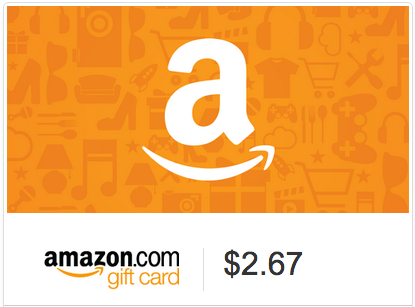 One benefit of having an Amazon gift card is that the balance won’t expire. The balance will also be automatically deducted from your next order. This is a handy trick for both Prime and non-Prime members. Amazon Filler Item Finder — While Prime members get free shipping, not everything falls under the Prime shipping umbrella. In those cases, it’s frustrating to find yourself ready to checkout only to discover that you need a few more dollars worth of items to qualify for free shipping with a $35 minimum. Amazon’s filler item finder lets you plug in the amount you need for free shipping, then search for filler items within that price range. You can find anything from books and office supplies to board games and cooking tools. It’s a really helpful tool for both Prime and non-Prime members. Free Shipping Without Spending $35 — A tactic some non-Prime members use to avoid having to spend $35 to get free shipping is adding a pre-order item to their order to reach the $35 limit. Amazon only charges you for the order that ships, leaving you time to cancel your pre-order item, if you want to, after the other item(s) has shipped. Prime Early Access — Don’t be deterred by the lackluster first-ever Prime Day, which resulted in largely mediocre sale offerings and heaps of disappointed Prime customers. The company’s Gold Box service offers new deals every day. Most offerings come and go at lightning speed, but you can save big by shopping the deal of the day, bonus deal of the day, limited-time sales, and a variety of other daily deals. Plus, Prime members get access to Amazon’s Lightning Deals and new events on MyHabit.com a full 30 minutes before everyone else. Coupon Codes — You also don’t have to be a Prime member to search for great deals using various coupon codes. Start by browsing the Slickdeals Amazon store page for coupon codes and general Amazon offers, such as free shipping and up to 50 percent off with Amazon Deals. Cash Back — As a Prime member, you can enjoy 5 percent back (as statement credit) every day on purchases you make with the Amazon Prime Store Card. All you have to do to get started is visit Amazon’s Store Card page for initial approval, then join Amazon Prime. Once you’re a Prime member, you will be automatically upgraded to an Amazon Prime Store Card. Keep in mind, the interest rate on this card is really high, so if you don’t always pay off your balance in full on this card you’re not making the right decisions in life. Promotional Credit — Some Amazon Prime items come with a “no-rush delivery” choice. This free delivery option comes with an estimated delivery time between five and seven business days. If you don’t need your order right away, selecting this service often translates to a credit of some sort (typically at least $1) towards digital music, videos, and eBooks. Failed Deliveries — A failed delivery could mean anything from a package that was never actually delivered to one that arrived damaged or late. When this happens, a simple phone call, email, or online chat with an Amazon rep usually gets you a full refund, another delivery of the same item, or credit towards another delivery. If the initial item was either defective or just wasn’t what you ordered, in many cases you can keep it in addition to the new item. If your Prime package arrives later than the expected delivery date, you can also add on one month free Prime membership (up to 12 times per year). Prime Sharing — Sharing your Prime benefits with other members in the same household is another great way to save. You can share your benefits between two adults and four children in your household by creating an Amazon Household. Members living in the same house can then take advantage of shipping, streaming via Prime Instant Video, Kindle Owners’ Lending Library, Prime Exclusive Deals and Prime Early Access. Price Cuts — Say you’ve recently purchased an electric toothbrush on Amazon at a pretty good price. A few days later, however, you log in to find that the price is now significantly lower. Simply contact Amazon customer service via phone, email, or online chat to see if they’ll refund the difference. This works particularly well if you contact them within a week of the initial purchase. FYI — you don’t actually need to be a Prime member to use this service. Refer a Friend — Each time you refer a friend to Prime, you can get a $5 credit towards your next Amazon purchase. In order for that to happen, though, the friend has to make at least a $5 purchase as a Prime member. Prime Pantry — Amazon Prime Pantry is full of household goods and pantry items, including goods that are tough to find in an ordinary grocery store. While you typically have to pay the $5.99 shipping fee, you’ll have access to a wider selection and lower prices on just about anything you’d want to stuff into your pantry. This is a particularly handy service for those who either don’t have time to go to the store, are faced with a limited selection, or who have difficulty going to the store on a regular basis. Baby Registry Completion — The Amazon baby registry completion discount gives a 10 percent discount (and up to 15 percent discount for Amazon Prime members) on certain items in your baby registry up to 60 days before your little one arrives. You’ll be able to access a link to redeem your discount once you are eligible (a process that can take up to two weeks). If you aren’t currently an Amazon Prime member you can become one at any time to be eligible for the 15 percent discount. Whether you’ve been considering purchasing an Amazon Prime membership or are wondering if it’s a worthwhile gift, it’s good to know what you can expect with the $99 annual price tag. As a savvy Slickdeals shopper, it’s also crucial to keep a close watch on the site (and forums) for chances to secure a free or reduced cost Prime membership. Bundled deals are sometimes available, such as purchasing a Fire Phone at full price and getting a year’s worth of free Prime. As the holiday season starts to gear up, look for flash deals and other ways to save on your Prime membership.